CBS News reports the state of Florida is cracking down on all-too-common “moving company scams”. In the United States District Court for the Southern District of Florida, the Florida Office of the Attorney General filed a lawsuit against 14 different moving companies. A number of different specific allegations were raised against these firms — from the use of unlawful, deceptive marketing practices to the fact that they were holding customers’ property hostage to get additional payment. In this article, our top-rated West Palm Beach consumer fraud attorneys provide an overview of the charges being leveled against these companies. Extorted additional fees by keeping property “hostage”. Among the most alarming details was how these companies handled long-distance moves. In one case, a moving company quoted a customer around $3,500 for a move to Maryland. Later, it increased the price to $12,000. 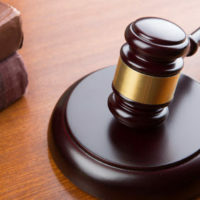 When the customer complained and refused to pay the extra charges, the company simply stated that it would keep her property and auction it off if she did not make the full payment. The lawsuit alleges that hundreds of consumers have been affected by these scams. Florida is seeking the imposition of civil penalties, payment of full restitution to affected customers, and an injunction that will prevent these companies from continued operations in the state. If you or your family member was the victim of deceptive marketing practices or the victim of any other type of consumer or business fraud, you have legal options available. It is crucial that you take action. The longer you wait, the more challenging it will be to recover fair compensation for your losses. Your next step should be to consult with an experienced Florida fraud attorney. Your legal representative will be able to review your case and take action to protect your rights. Please be sure you retain all documentation that you have related to the fraud. This includes everything from financial records to any correspondence with the company. Get all of that information into the hands of an experienced attorney. At Pike & Lustig, LLP, our Florida business fraud lawyers are strong, aggressive advocates for victims. If you lost money as a result of business or consumer fraud, we will protect your rights. To speak to an experienced fraud lawyer today, please contact us now. We have offices in Miami and West Palm Beach and we represent clients throughout the region.